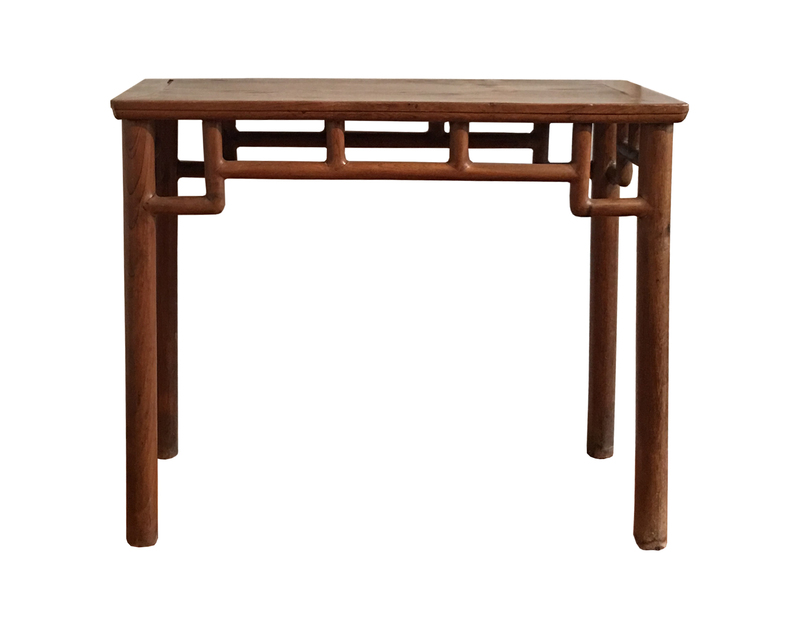 (17 世紀櫸木格式半桌）This early style, possibly 17th century, rare Ju wood side table is among my favorites of furniture pieces. 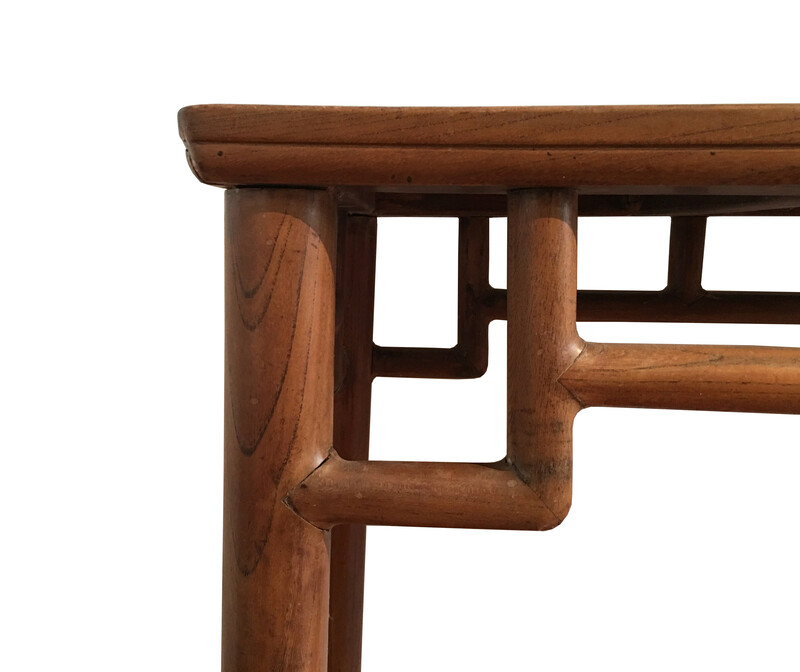 Not only it has supreme design and construction, compared to any other furniture pieces built from the same period, it also has the original beautiful patina that is apparent and unique and only available from the older and earlier Ju wood furniture pieces. The design of this table brings one immediately to the contrasted spatial relationship- the solid and the empty spaces outlined by its particular structure and components. One can interpret it to be Yin (陰) and Yang (陽) , Xu (虛) and Shi (實), the two contrasted, the subdued and the full, Qi or energy that cycle and make up the universe. In much of the Chinese arts, one sees these two forms evolving around each other, whether complimenting each other or opposing to each other. It is more than just the physical lines or shapes. 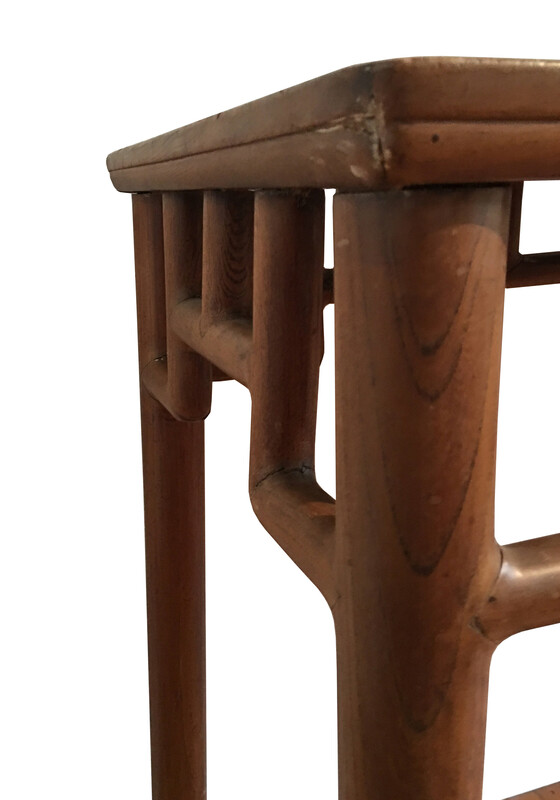 In its design, this table does not use any traditional spandrel, rather, the supports stand out as the main design of the piece and created a sense of continuity, in a way, a sense of rhythmic. It reminds me of the many earlier ancient designs and motives with the “Continuing” design, whether it be “twined” lotus flower, grass, or dragon, etc. This table with its minimalism approach in design not only reflects the sophistication in that no additional effort or energy is wasted in designing or building such furniture piece, but the incredible skills in being able to carry out its concept, the essence and the core of the spirit of the piece, to its practical application with the strength it builds through careful choices of weight bearing points and the stretching distances while using complex and precise structured joinery inside to achieve its goal. 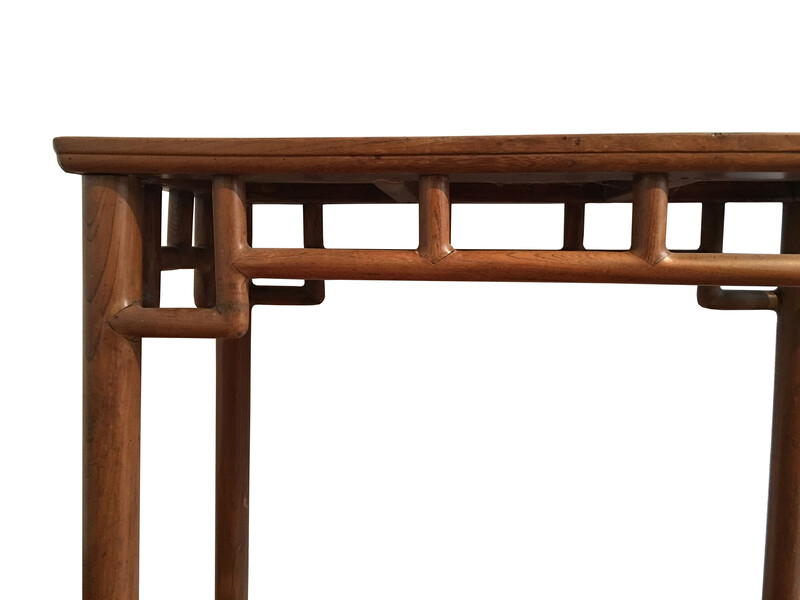 Over so many hundred years ago, they already knew and built some of the finest and most sophisticated furniture pieces like this one that is timeless in every way!